Last month, on Christmas eve, India formally took over operations of the Chabahar port. Two neighbouring countries, Iran and Pakistan, which were trying to remain close, are today moving in opposite directions. This movement is partly pushed by circumstances, evident from the way India’s presence in Chabahar has been recently upgraded and the way Saudi Arabia is increasing its presence in Pakistan. Last month, on Christmas eve, India formally took over operations of the Chabahar port. India Ports Global company, a joint venture between Jawaharlal NehruPort Trust and Deendayal Port Trust, Kandla, is now functioning from its offices at Shaheed Behesti Port Chabahar. For New Delhi, Chabahar is important to reach out to Afghanistan. In 2017, when this country was hit by drought, India had already shipped 1.1 million tonnes of wheat through Chabahar. Last month, senior bureaucrats of all the three countries, India, Iran and Afghanistan, held the first meeting for the implementation of the trilateral Chabahar agreement signed in 2016. They agreed on the routes for trade and transit corridors between the three countries and, according to the official communique, finalised the protocol to “harmonise transit, roads, customs and consular matters”. This achievement has something to do with the crisis affecting Iran in the wake of the new round of American sanctions. 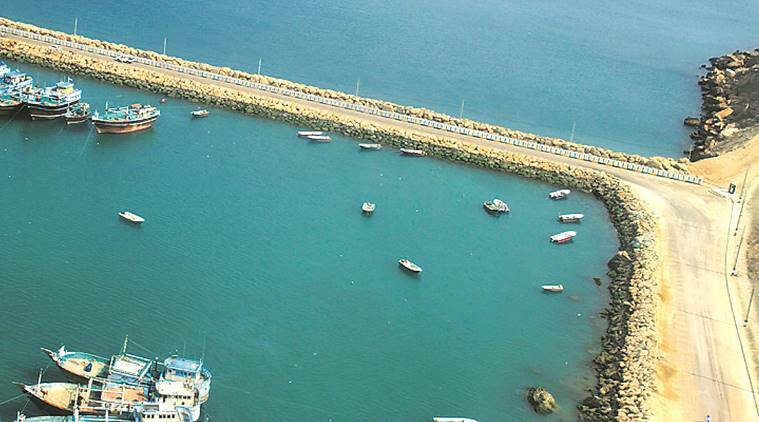 New Delhi could persuade Washington to exempt Chabahar from these sanctions because, according to the US communiqué, this port “relates to reconstruction assistance and economic development of Afghanistan. These activities are vital for the ongoing support of Afghanistan’s growth and humanitarian relief”. Iran needs India more than before in order to resist American attempts at isolating it. Ironically, Tehran benefits from good relations between New Delhi and Washington, which also made the waiving of sanctions on oil trade possible: In late 2018, America granted waivers to eight countries including India for importing oil from Iran till March 2019. New Delhi lobbied for such an exemption as Iran is India’s number one oil provider. Iran’s isolation may further increase India’s leverage in the near future as Tehran will be forced to finalise deals for using local currencies in trade. India and Iran are already working on a Preferential Trade Agreement (PTA) that would reduce tariffs on 80 to 100 products. Pakistan has similarly been pushed towards Saudi Arabia by the compulsions of financial circumstances. Once again, the country needs to raise money from abroad to make both ends meet and once again the most generous donors are Saudi Arabia and the UAE. In the past few months, the dependence of Pakistan vis-à-vis these two countries has significantly increased because of the aid both countries agreed to give to Islamabad and because of industrial, strategic investments. Facing a major financial crisis, Imran Khan chose Riyadh for his first official foreign visit. In the course of the following six months, and on the occasion of several grand bilateral visits that the assassination of Jamal Khashoggi never affected, he got the assurance from the Saudis that they would help Pakistan to address its balance-of-payment crisis by offering a $6 billion package, while the UAE committed themselves to give $3 billion. Besides, Riyadh decided to invest $10 billion in a refinery in Gwadar. For Riyadh, this move precludes any Iranian presence in Gwadar, contrary to some of the plans talked about in Tehran and Islamabad. Indeed, Pakistan and Iran tried hard to ameliorate their collaboration till recently. Pakistan’s Chief of Army Staff General Qamar Javed Bajwa had paid an important visit to Tehran in October 2017. Such a visit had not taken place for 20 years. The Iranians had been responsive to what he had to offer (some cooperation on missile technology was discussed) and expressed interest in being part of the RBI by branching the gas pipeline they have already built on CPEC at Gwadar and to connect Chabahar to CPEC too. Possibly because of the US/India rapprochement and in reaction to Trump’s attempts at isolating Iran, Khameini has for the first time mentioned Kashmir in some of his sermons in 2017, comparing this conflict to the Israeli-Palestinian one. In March 2018 the visit of the Iranian Minister of Foreign Affairs, Mohammad Javad Zarif, had enabled the two countries to reiterate their interest in collaboration. That was in continuation to the decision made in 2015 not to join the Saudi-led coalition fighting the Iran-supported Houthi rebels in Yemen and the attempts Islamabad had made to mediate between Iran and Saudi Arabia under Nawaz Sharif and again under Imran Khan immediately after he took over as PM. While Pakistan will continue to try not to take sides, a significant upgrading of its relations with Iran may become more difficult — saying “no” to Saudi Arabia may also become more difficult. The Modi government had surprisingly invested in Saudi Arabia and the UAE in the first four years of his term, evident from the invitation to Mohammed bin Zayed as guest of honour on Independence Day in January 2017, at a time when India expected massive investments from the UAE, evident from the Indian PM’s visit to Riyadh in July 2018. Modi and Saudi King Salman bin Abdulaziz Al Saud then agreed to sign five MoUs regarding “exchange of intelligence related to money laundering, terrorism financing and related crimes amid the spread of Islamic State and threats from groups in Af-Pak region”. Such collaboration may become more elusive if Saudi Arabia is even more strategically embedded in Pakistan and if both countries become more interdependent. The implications of this dynamic are particularly negative for Pakistan. Iran will not support Baloch separatists since it is not in its interest to promote Baloch nationalism in its own frontiers, but it can play in Afghanistan a role that will not be to the liking of Islamabad — each country is now harbouring different sections of the Taliban. This issue has gained momentum again with the announcement of American withdrawal by Trump and the beginning of negotiations in Doha. However, the continuation of the dynamic described above depends upon several factors. In March, the US may ask India to stop importing oil from Iran and Tehran’s goodwill vis-à-vis New Delhi may then turn out to be more tactical than strategic. Similarly, Pakistan-Saudi Arabia equations may not remain as smooth if the latter (and the UAE) seeks to play a major role in Afghanistan-related negotiations at the expense of Pakistan — such a scenario has unfolded in the past. While the situation remains fluid, the present trends may eventually result in the crystallisation of two axes, bringing Pakistan closer to Saudi Arabia and Iran closer to India and this new regional game. This evolution will foster the Arabisation (or Wahabisation) of Islam in Pakistan. It may also relaunch sectarian tensions in the region under the aegis of foreign countries.